A social media user has taken to the Instagram page of a popular Nollywood actress to share his disapproval as it regards her friendship with a cross-dresser. 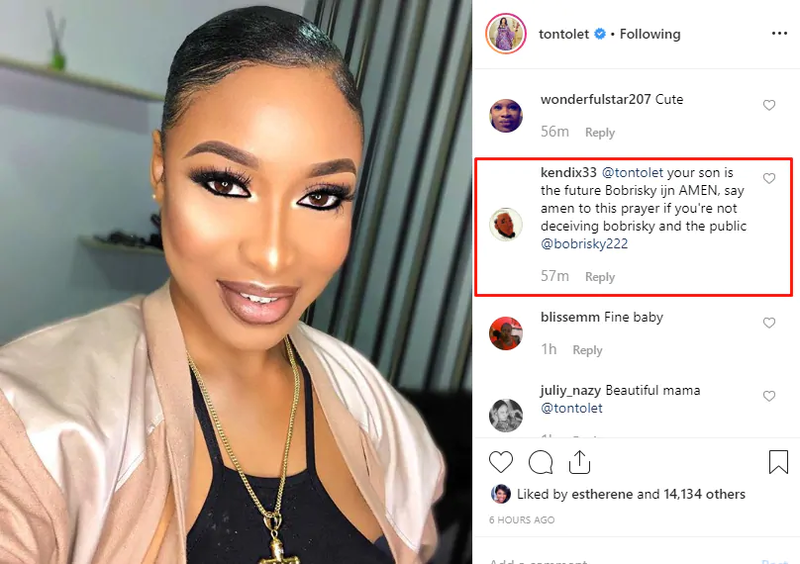 The friendship between talented actress Tonto Dikeh and Bobrisky has been one that has gotten a lot of people talking in the online community. Many have wondered why the actress continues to lead on and heavily throw her support behind the cross-dresser in his effeminate ways. An internet who could no longer hide resentment for the duo has now taken to Dikeh’s comment section to share his wishes for her especially as it concerns her son.